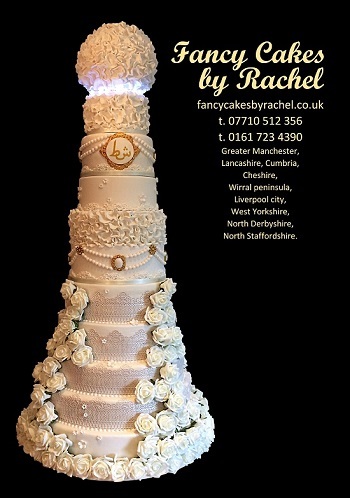 With 16 years of baking experience, Fancy Cakes by Rachel specialises in bespoke Wedding cakes and celebration cakes for all of your special occasions. If you require a halal cake please mention this when ordering your cake. All ingredients used in our halal cakes are checked to ensure they are vegetarian and do not contain alcohol. All cakes are baked to order for maximum flavour and freshness. Go to Flavours to see our choice of cake flavours. If you can't see your preferred flavour just let us know and we will make it for you.